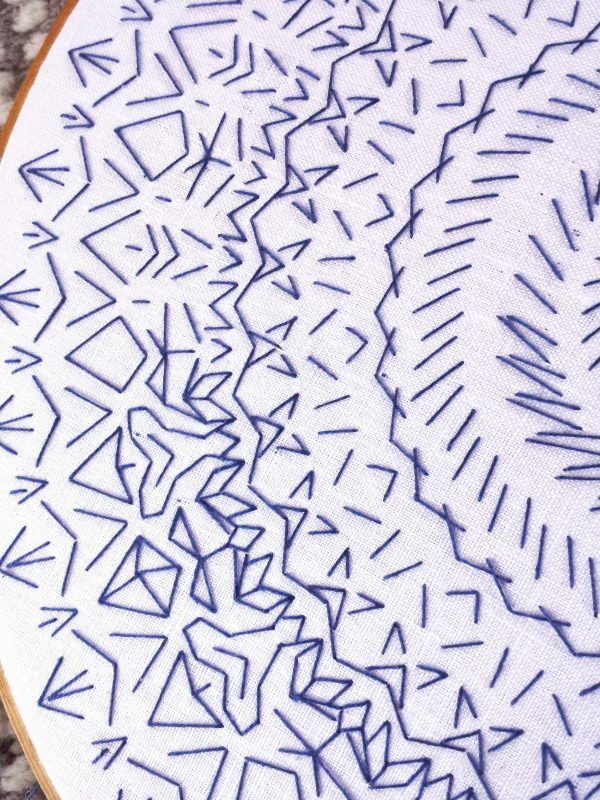 Embroidery with blue crochet thread on white linen, work in progress. 34.5 cm diameter. 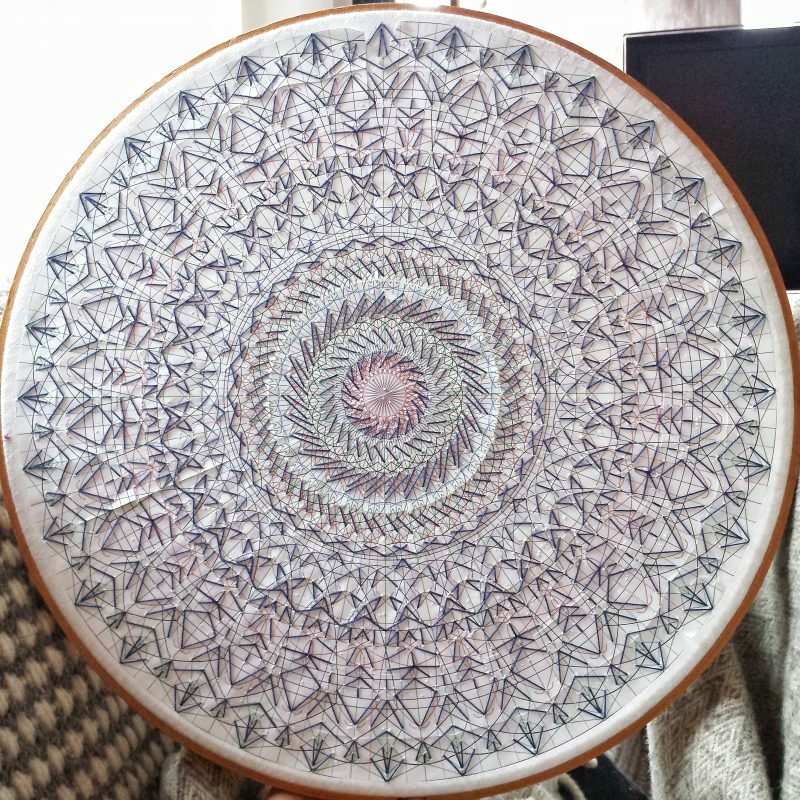 The photographs show work in progress on a monochromatic blue embroidery on white linen mandala. This embroidery is destined to be pressed into clay to make a relief pattern for glazes to pool and reveal the slight indentations left by the embroidered pattern. Ceramics are a new medium to both me and Marc and it will be a while before that work is ready to merge with the embroidery. For now, the work proceeds in parallel. 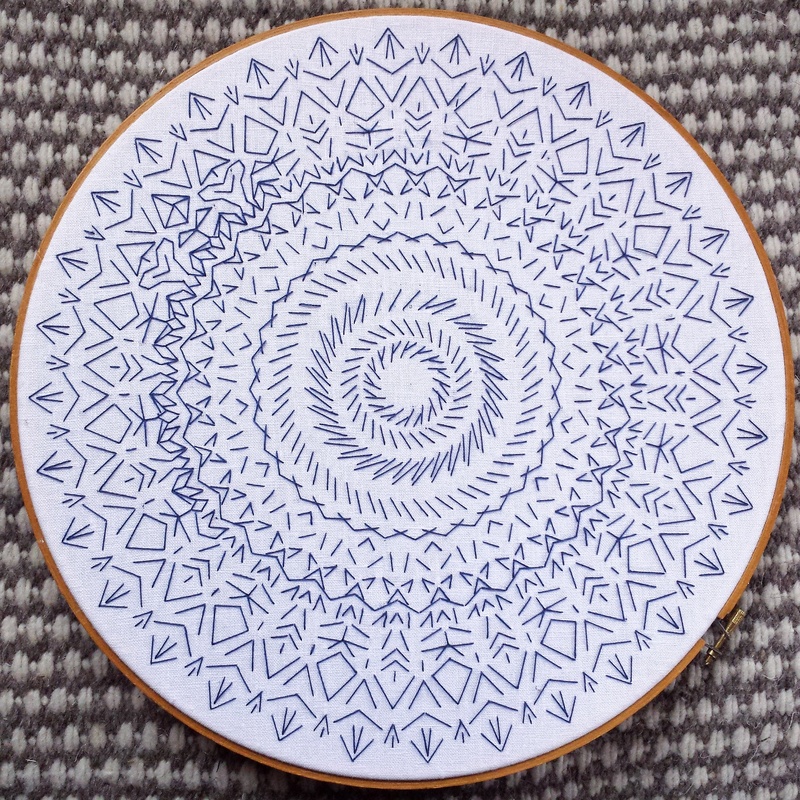 Check out more on the mandalas project page. Embroidery closeup, work in progress..
Just before tearing away the paper guide. Closeup of stitches picked out from all available points in a regular guide that is yet not a grid but composed of an abstract digital pattern that is repeated in the round. 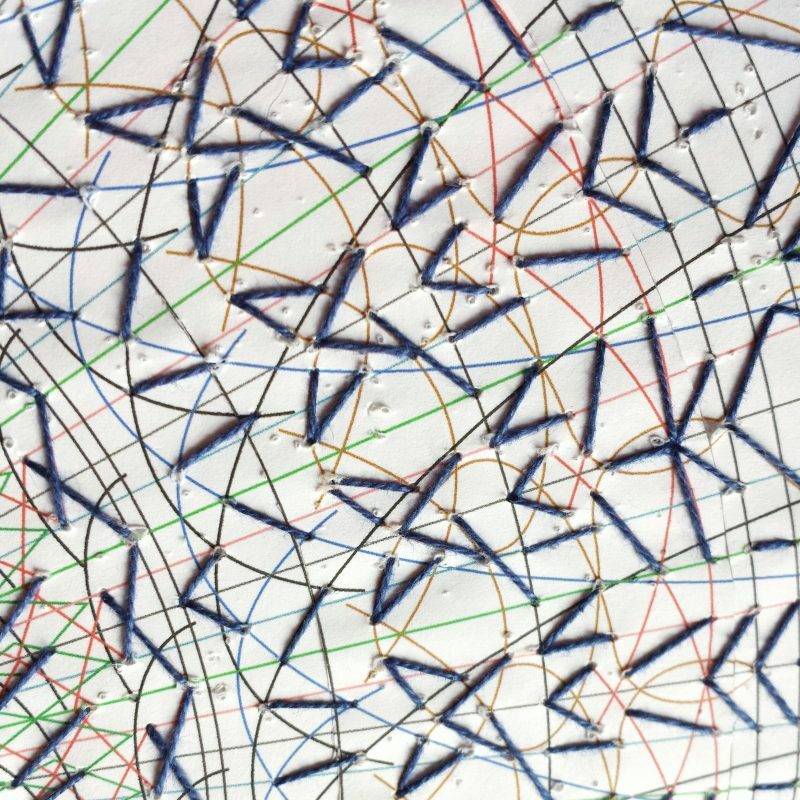 The stitches sometimes follow the pattern made digitally and sometimes the stitheces create a new pattern from choices made at the time of embroidery. Most of the possible vertices are ignored.